School Motto "Success for All"
eSmart is an initiative of The Alannah and Madeline Foundation, a national charity committed to protecting children from violence. Cyberbullying, sexual predation, identity theft and accessing and sending inappropriate images and content are some of the real cybersafety risks facing young people today. In eSmart schools, relationships are strong and supportive and learning outcomes are enhanced. Bullying and cyberbullying are therefore less likely to thrive. Students are regularly involved in developing and delivering information on the smart, safe and responsible use of technologies to a variety of audiences and are taught a suite of social and emotional skills. 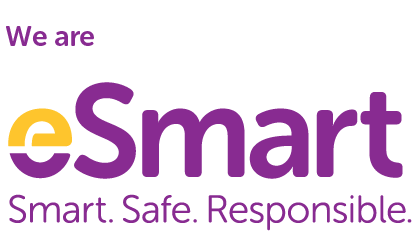 eSmart assists teachers, students and the whole school community embrace the benefits of technology and reduce exposure to cyberspace risks such as cyberbullying, identity theft, online sexual predation and accessing or sending inappropriate images and content. 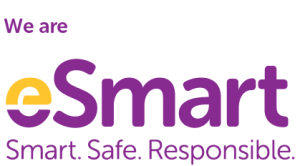 As a school, we integrate cybersafety into our wellbeing policies, establishing clear procedures to deal with incidents, and delivering curriculum around the smart, safe and responsible use of technology. Campbellfield Heights Primary School - School Motto "Success for All"